premises of two heritage Atash Behrams—highest grade fire temples—for Mumbai Metro 3 with strict monitoring of work to ensure that no damage is caused to the structures. Continuous monitoring and necessary precautions will need to be taken with scientific experts’ guidance said the HC on Friday. The court dismissed a petition filed against the tunnelling work. The HC also vacated the stay that had been granted in May and which had continued since. Pleas by senior counsel Navroz Seervai for a two week stay to enable an appeal before the Supreme Court was opposed by MMRCL counsel S G Aney who said Rs 4 crore is the loss faced daily for halted work as the TBM machine is on hold. The HC vacated the existing stay and declined to stay its order, thus allowing MMRCL to even start with the tunnelling work as soon as the judgment becomes available. The HC bench of Chief Justice Naresh Patil and Justice R G Karnik gave separate reasons in the concurrent verdict which has come as a blow to the Parsis who had filed the petition and a large number of people from the community who were supporting the petition. The HC appeared to accept an expert panel report submitted by VJTI college which had recommended that tunnelling is permitted with certain safeguards to ensure no damage is caused to the temples or well water. The HC too said on Friday that there should be monitoring of well water levels during the tunnelling and underground metro construction work. Outside the Courtroom, leading petitioner Jamshed Sukhadwala expressed his sadness and disappointment at the ruling and lack of stay. Another petitioner Ratan Patel also said that at least a week’s stay could have been given. Both of them and their lawyer Zerick Dastur said that they would consider going in appeal once they peruse the judgment. The ruling runs into hundreds of pages and is not yet made available. The petition was by structural engineer Sukhadwala and other prominent Parsis including a priest and a lawyer seeking realignment of the Metro-3 to avoid going under the two heritage Zoroastrian Atash Behrams, in the island city, one of which is 188 years old, the other 122. The station near the fire temples would be the Kalbadevi metro station in the 45 km Colaba-Bandra-Seepz underground metro 3 route. The lengthy hearing in the matter had concluded well before Diwali vacations. 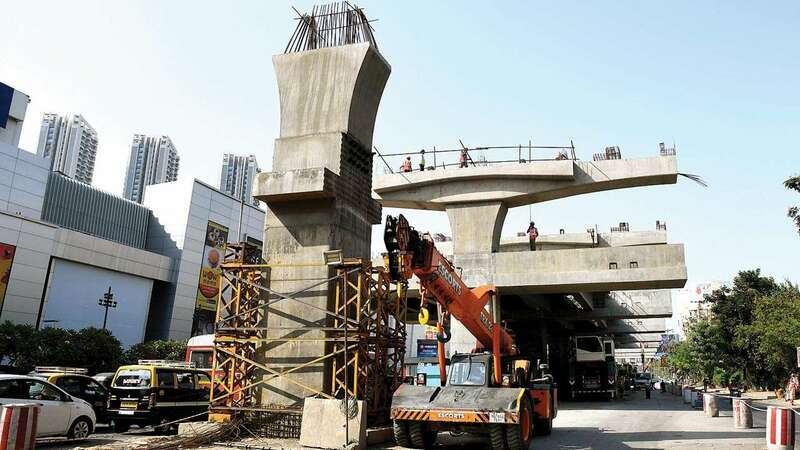 “Rights of public are larger than rights of a community,” senior counsel Aney appearing for Mumbai Metro Rail Corporation Ltd (MMRCL) had argued. He had also said that the fundamental right of Parsis to practice religion was not being breached by the underground Metro-3 line. The HC appears to have accepted that. The state has a constitutional obligation to ensure the citizen is not deprived of these benefits and conveniences.” Aney called for applying the ‘doctrine of proportionality’’ to aid the “exercise of balancing seemingly conflicting rights.